Tribex Corporation of Rocklin, California, is committed to quality in everything we do. Our capabilities have grown from super calendared paper liners to a wide variety of substrates. High degree of cure so less silicone transfer, the perfect product means no lock up or pre-release of your product. 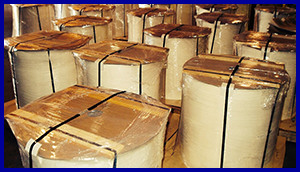 Contact us at (877) 629-9441 in Rocklin, California, to save on film and paper liners.